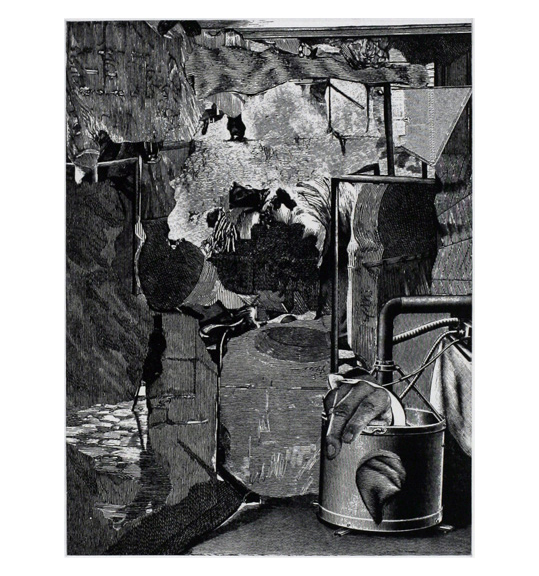 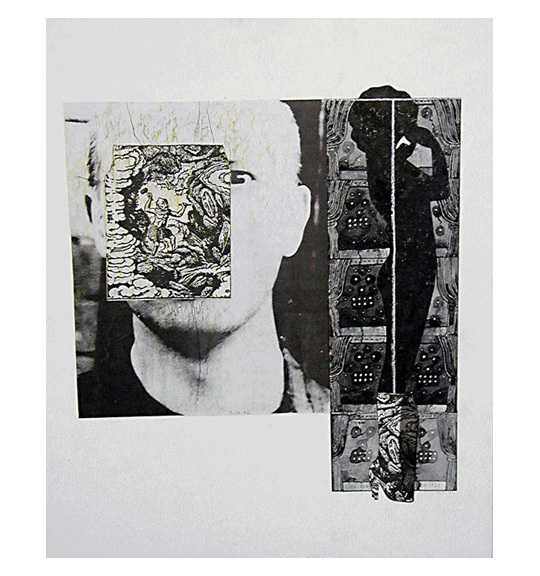 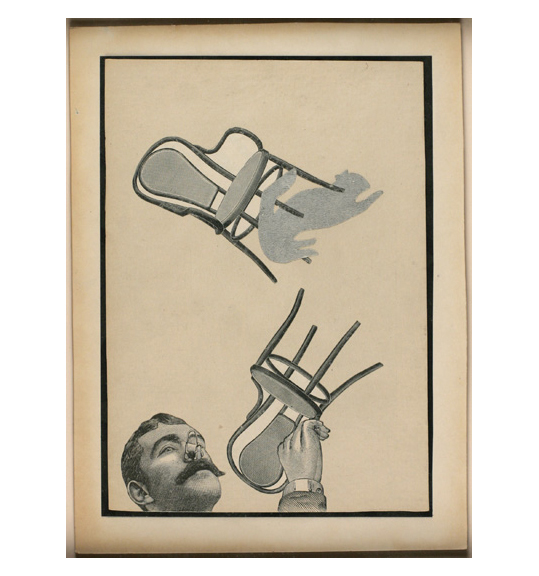 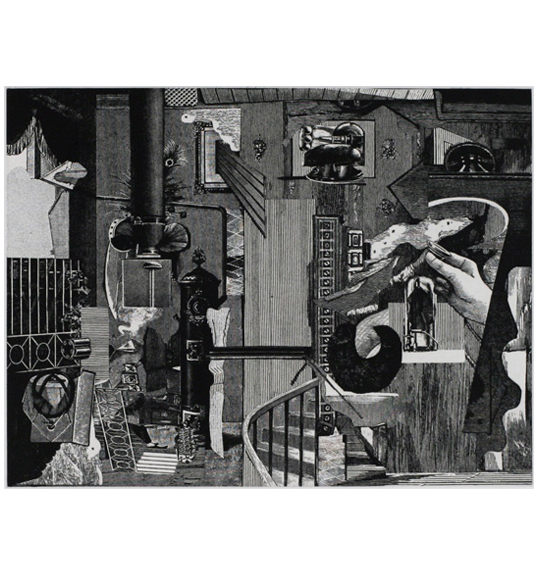 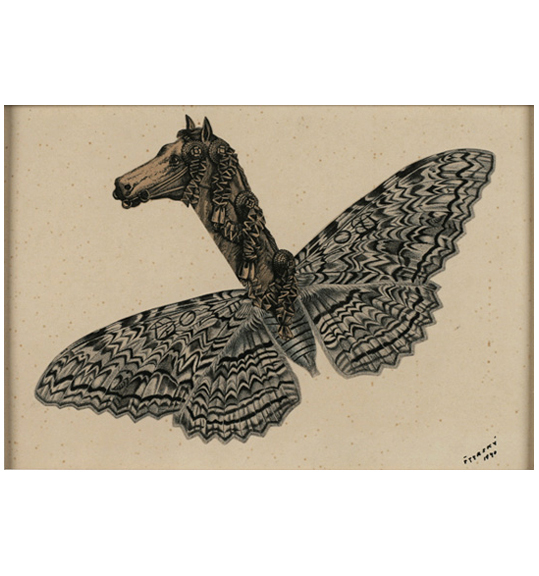 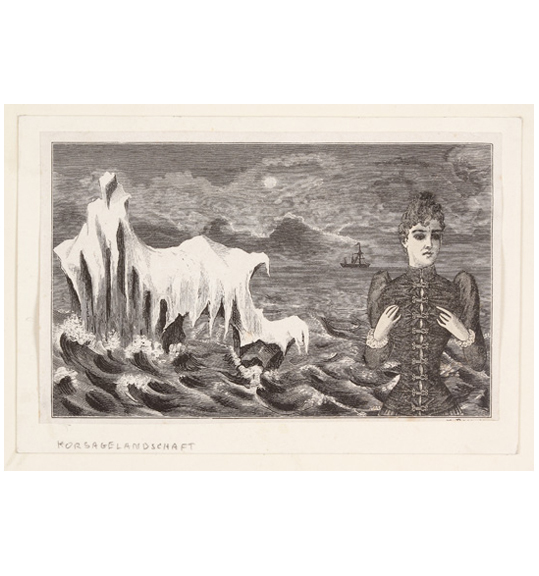 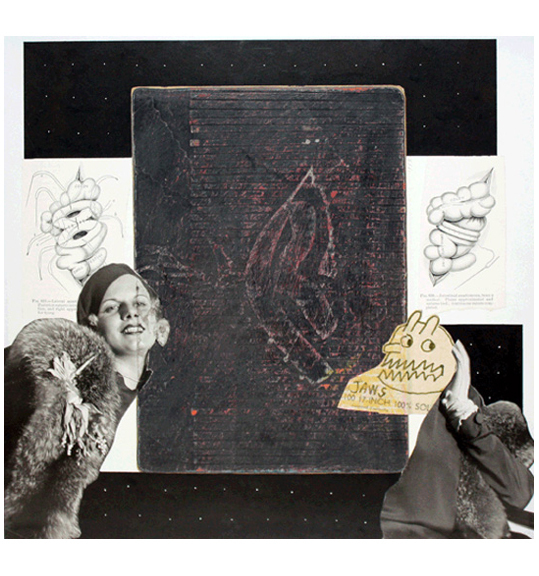 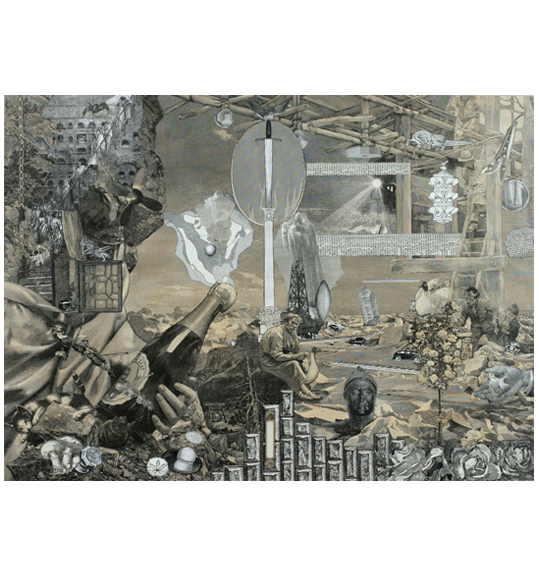 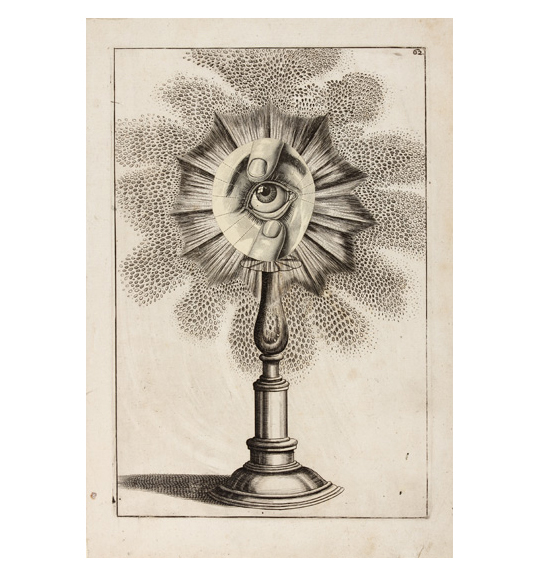 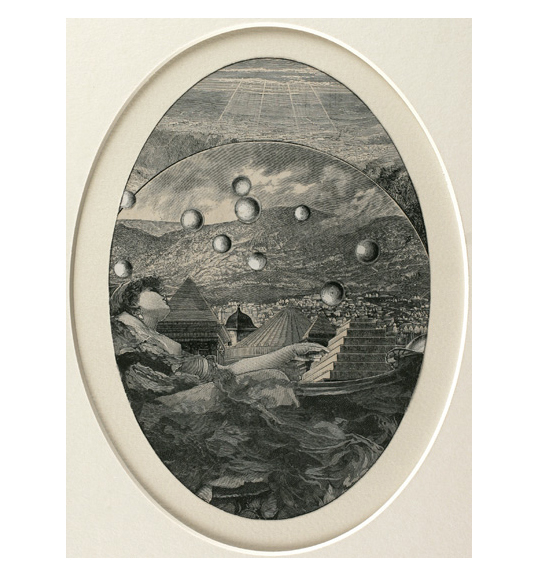 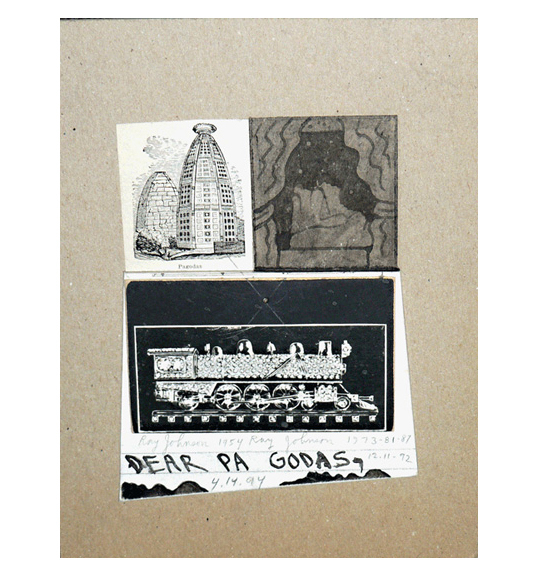 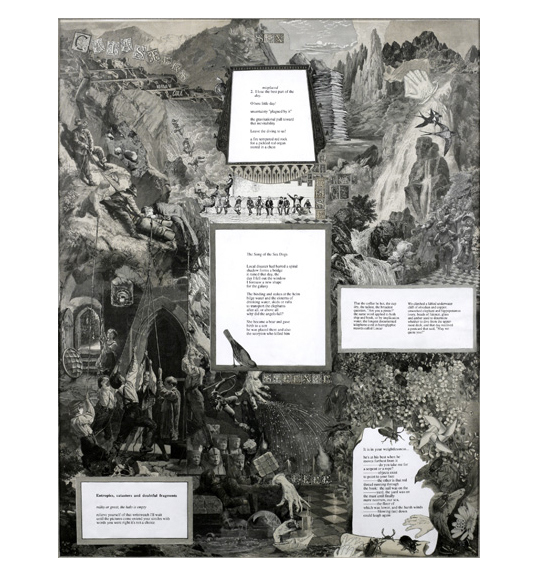 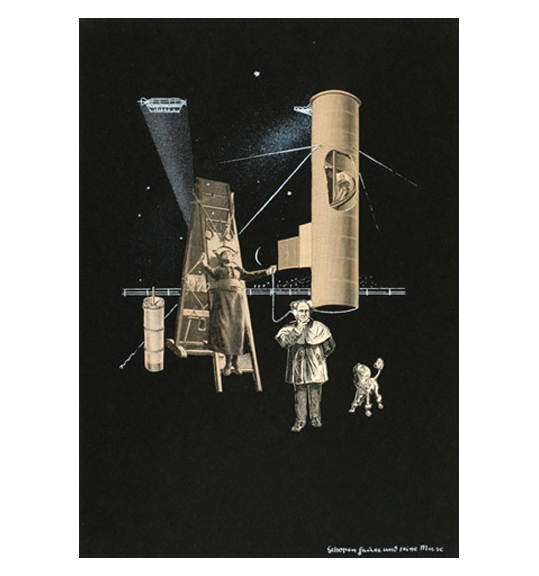 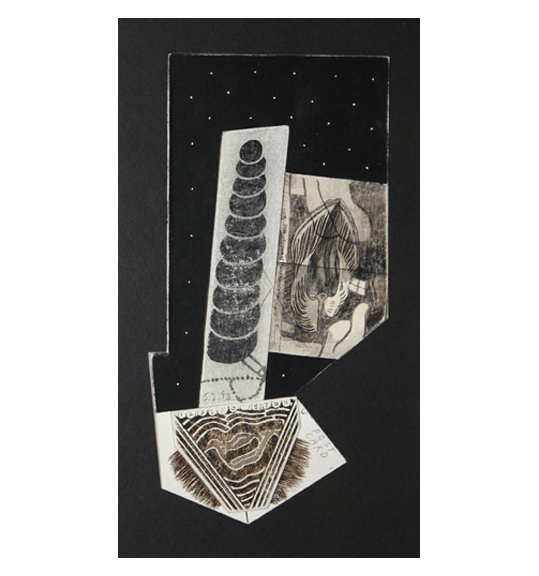 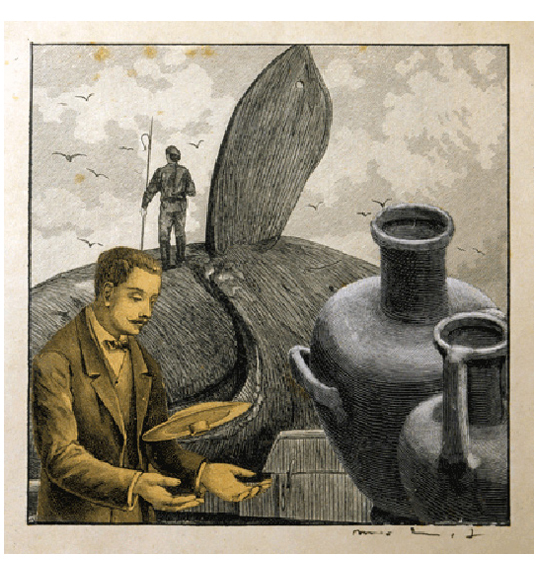 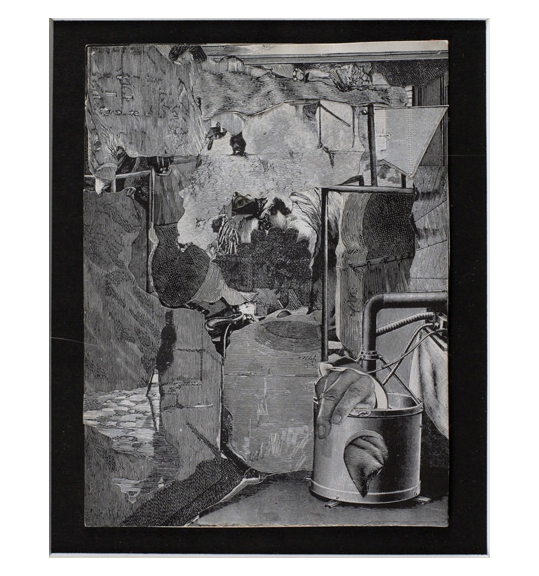 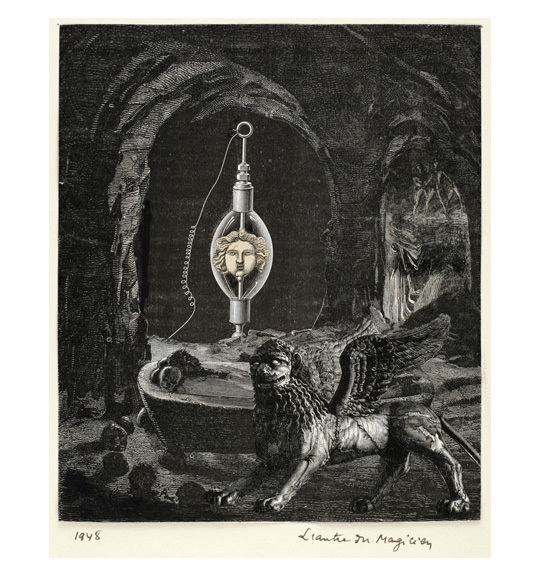 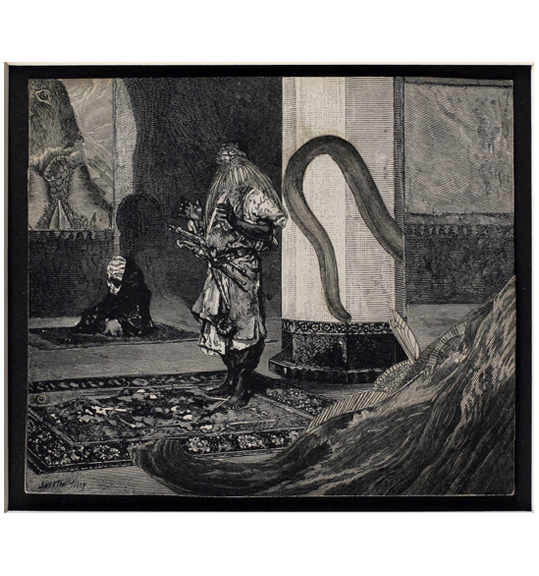 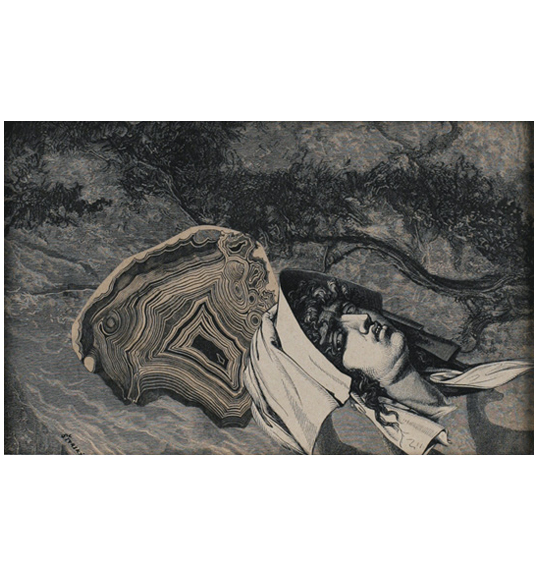 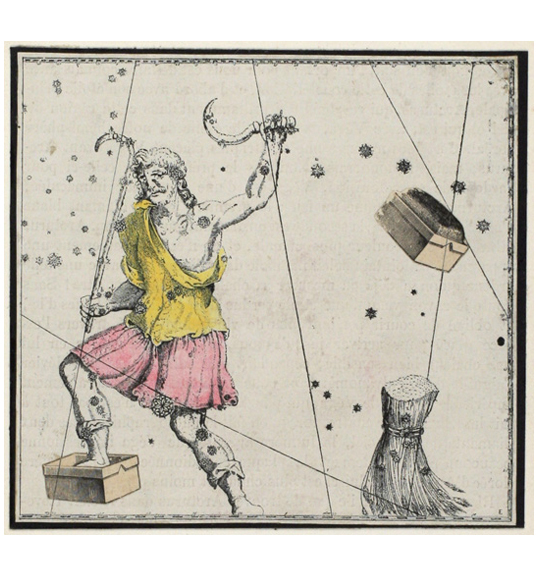 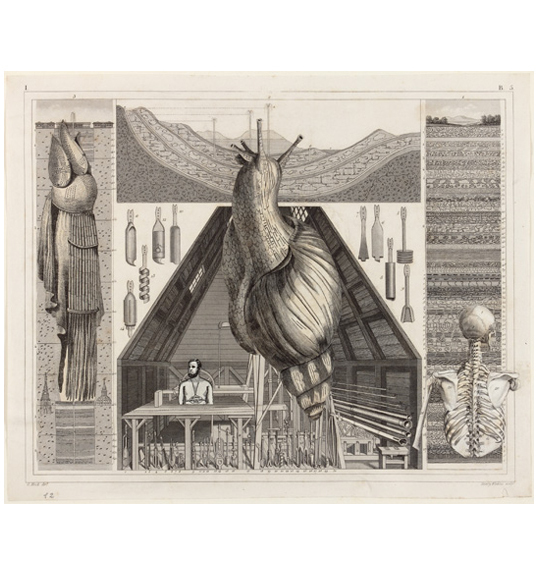 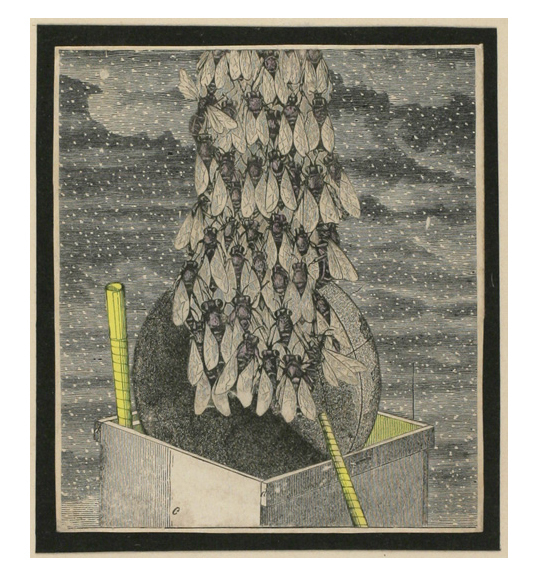 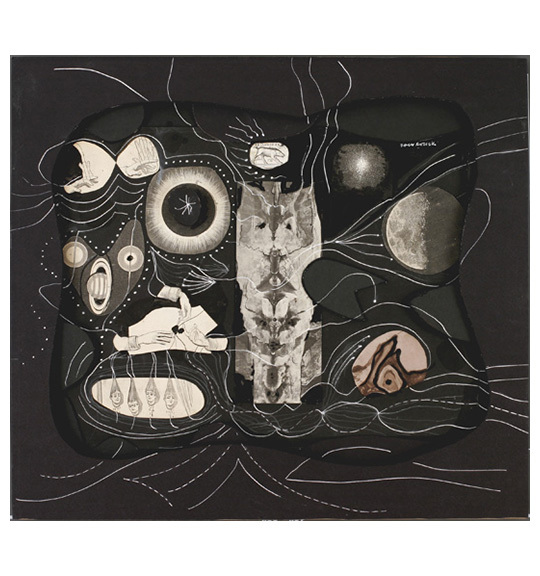 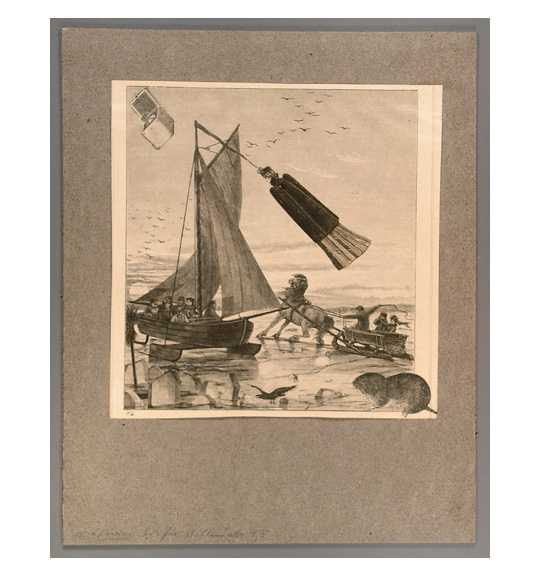 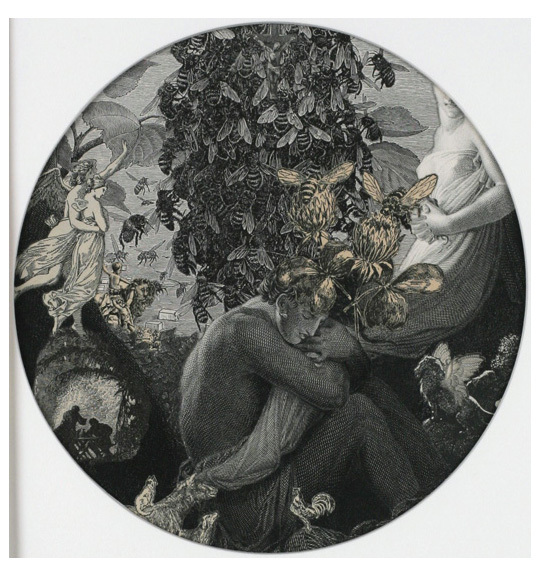 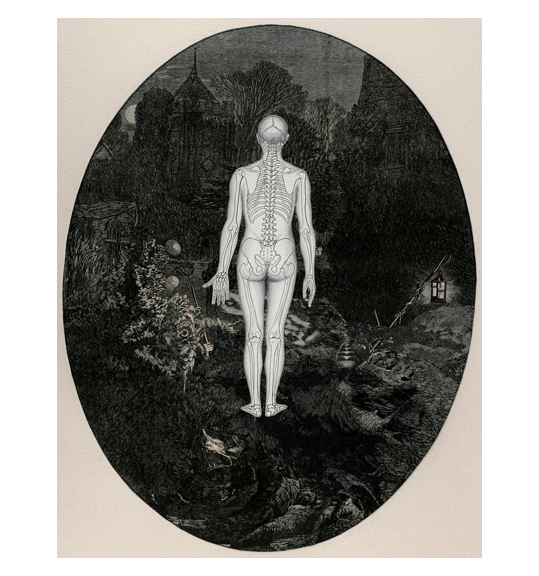 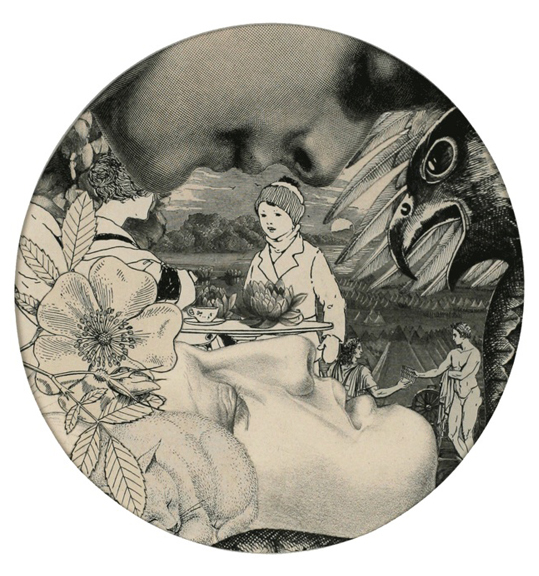 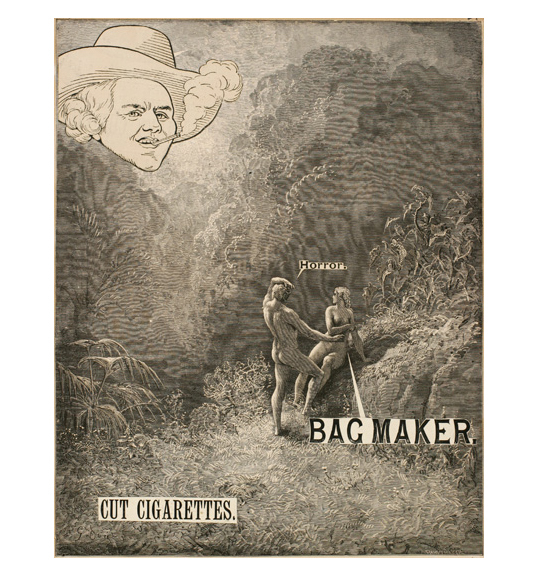 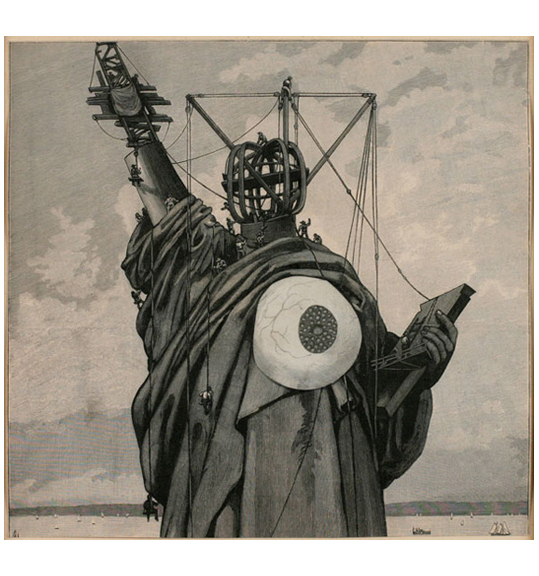 Ubu Gallery presented an exhibition of 20th Century collages, curated by Meredith Harper, all united in their focus on the transformation of Victorian engravings. 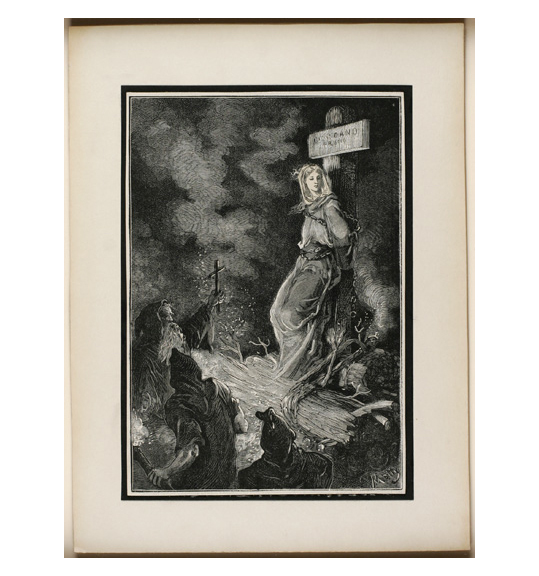 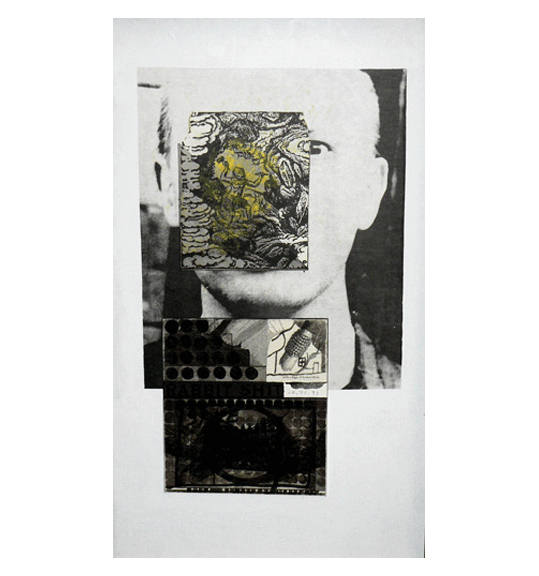 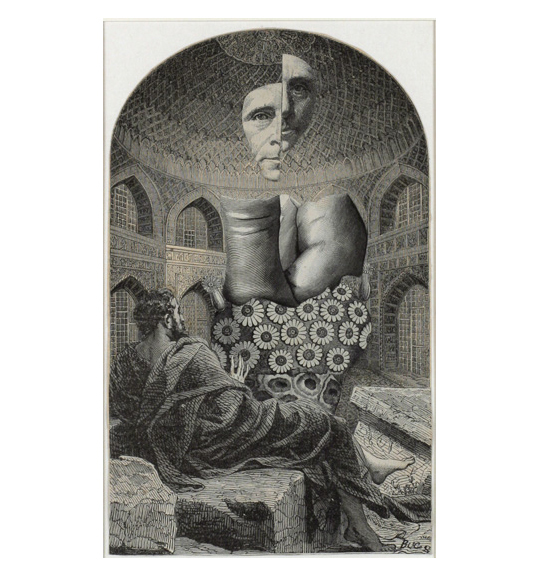 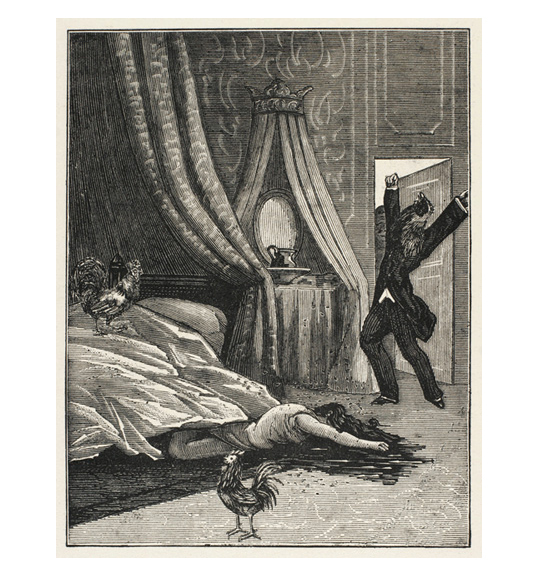 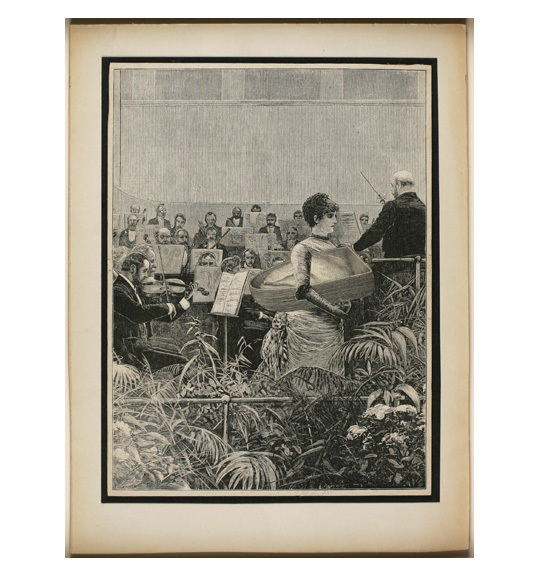 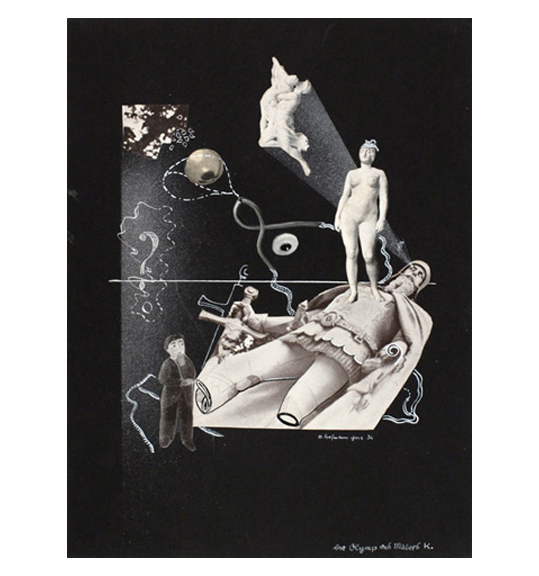 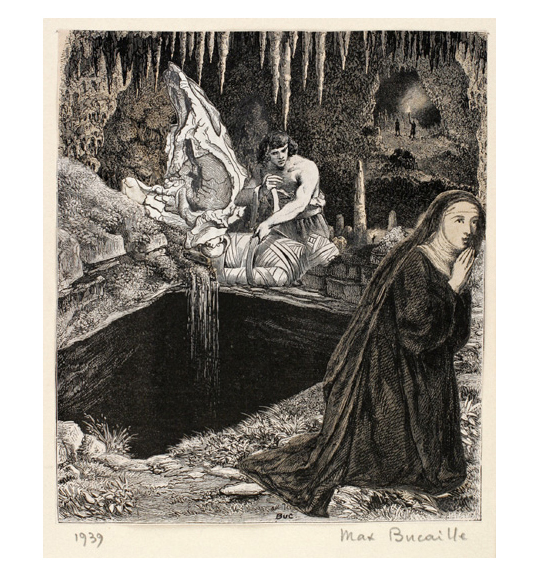 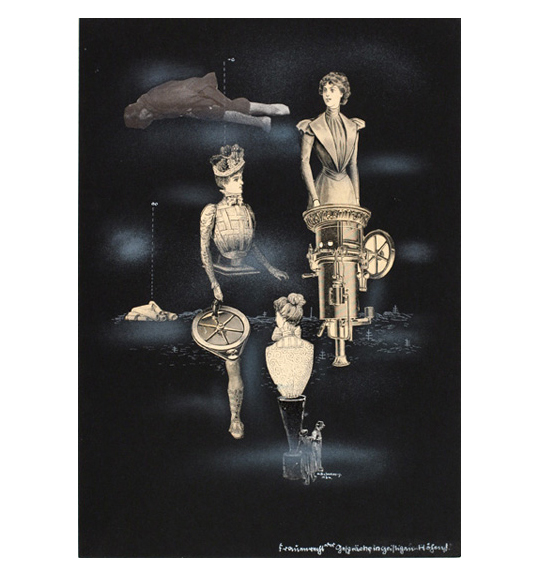 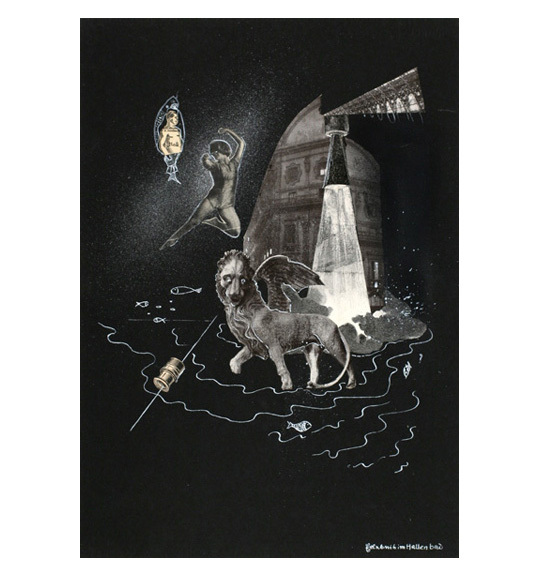 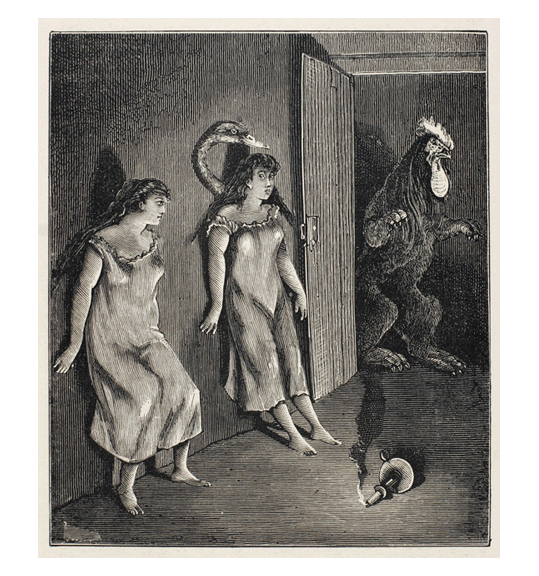 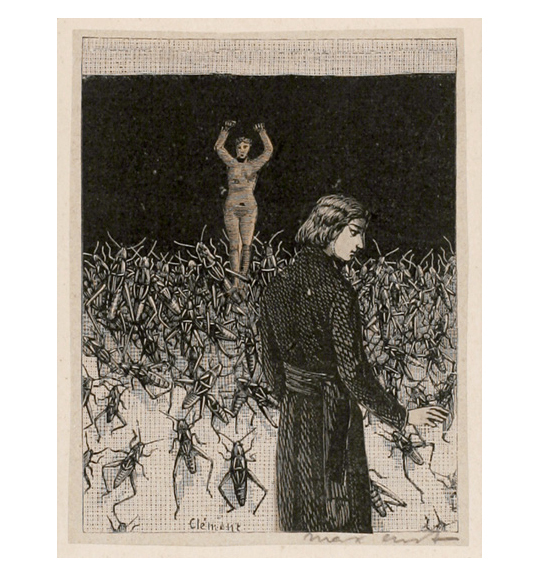 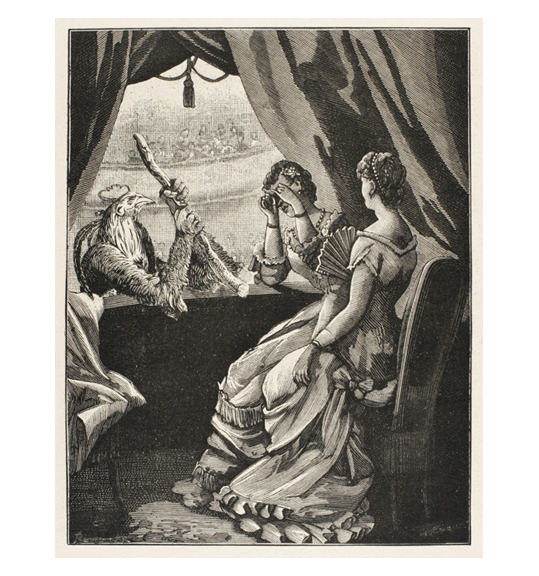 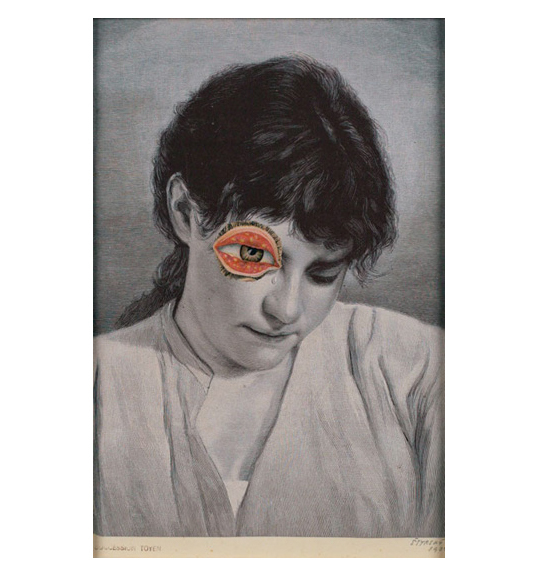 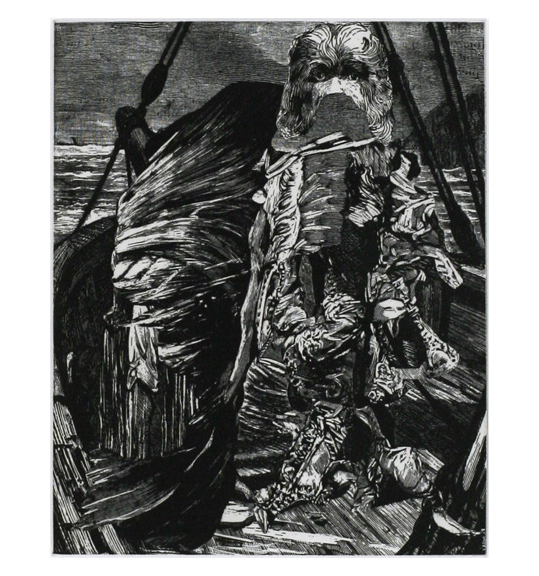 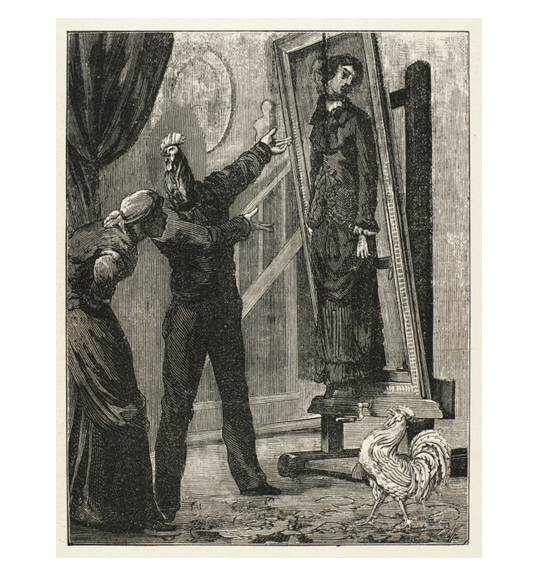 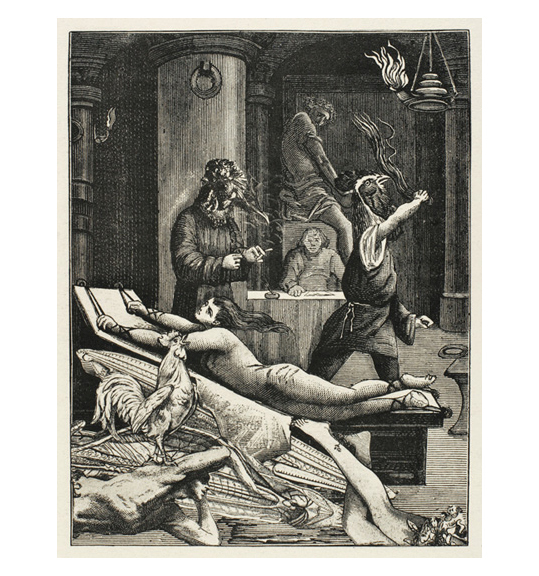 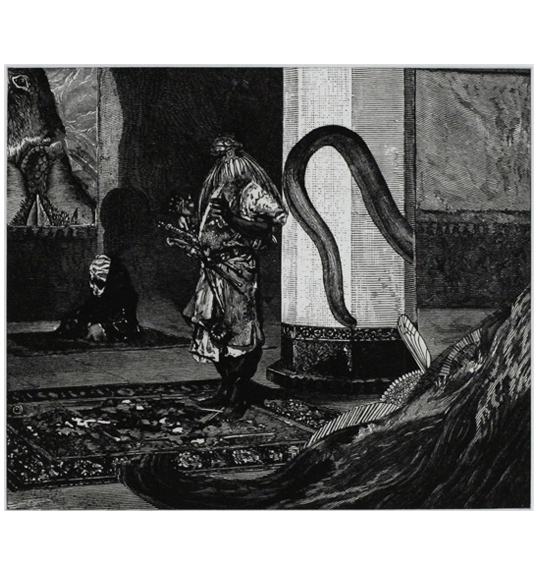 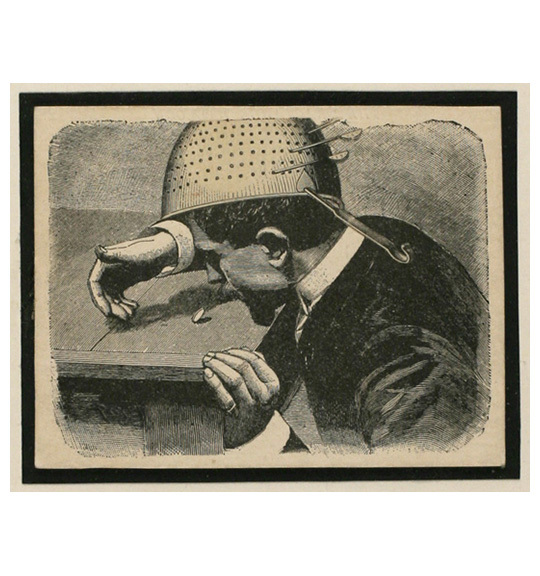 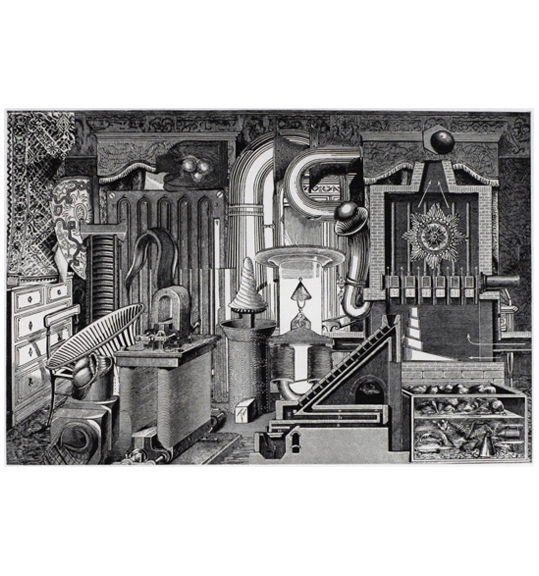 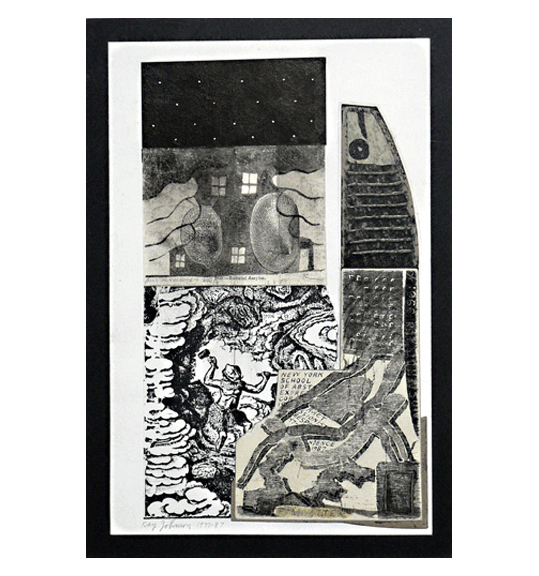 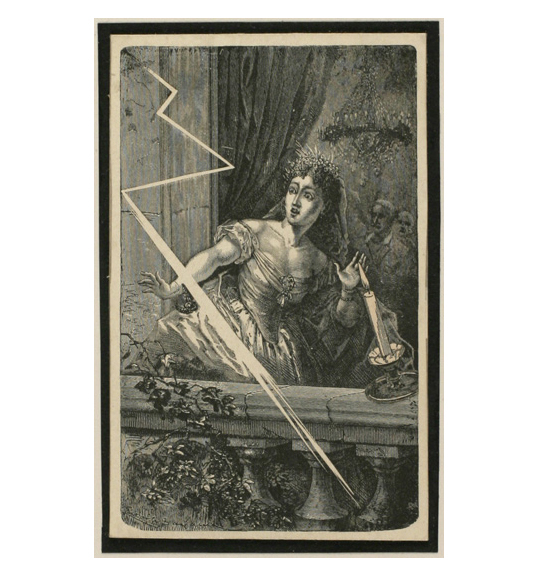 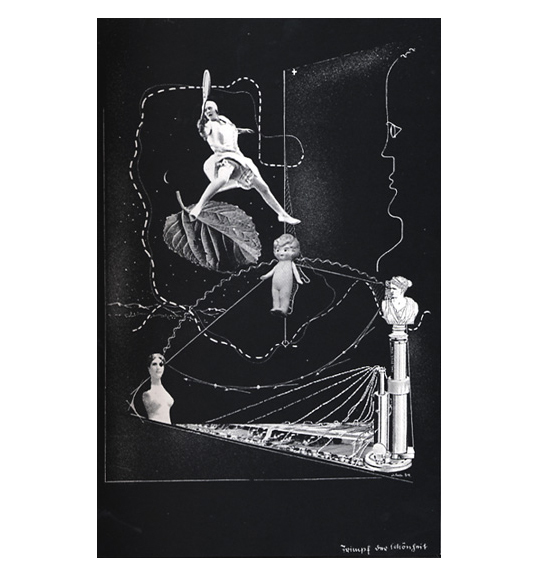 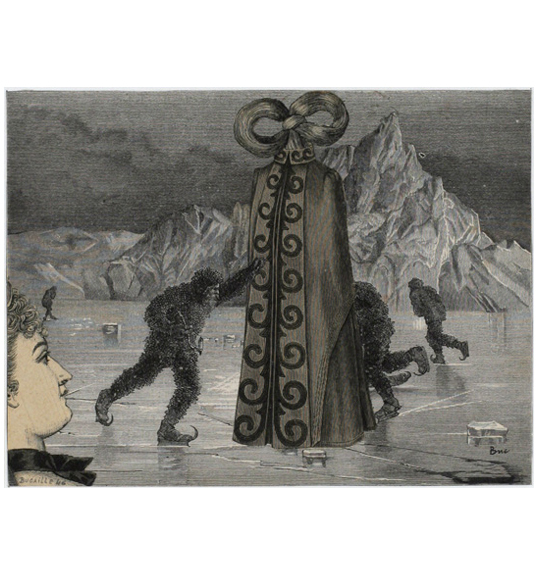 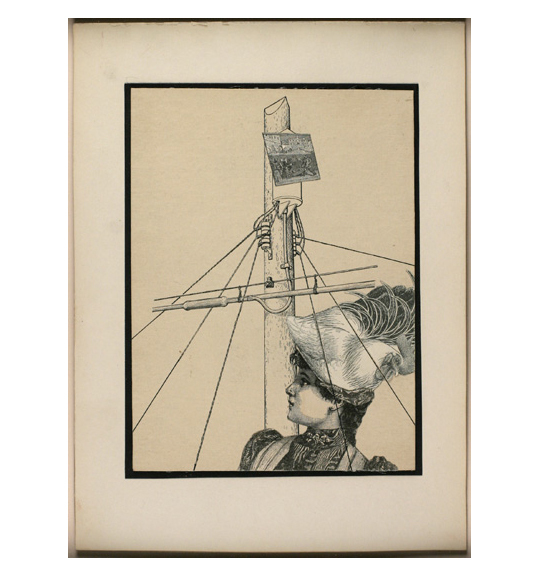 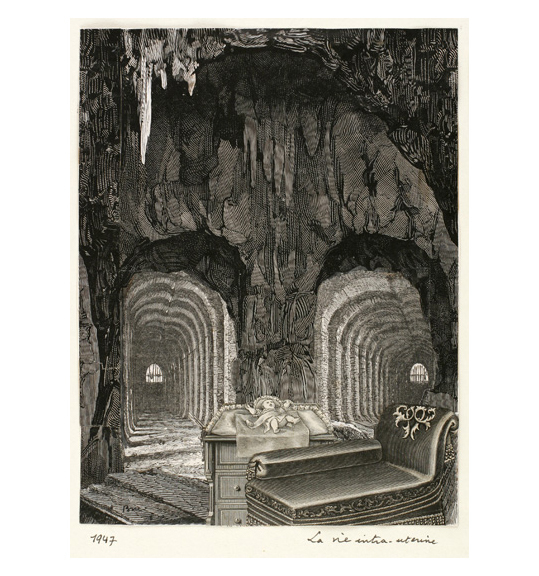 Max Ernst (1891-1976), with such work as his shocking and seminal illustrated collage-novel, La Femme 100 têtes (1929), influenced an entire wave of artists who looked towards the Surrealist and his use of 19th Century engravings as a point of departure within their own work in this medium. 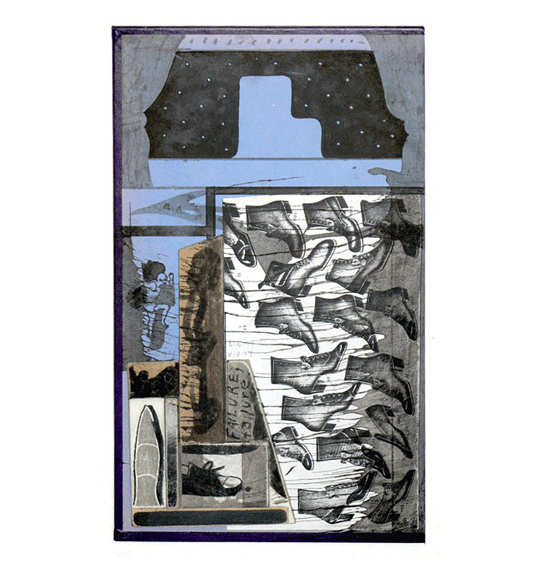 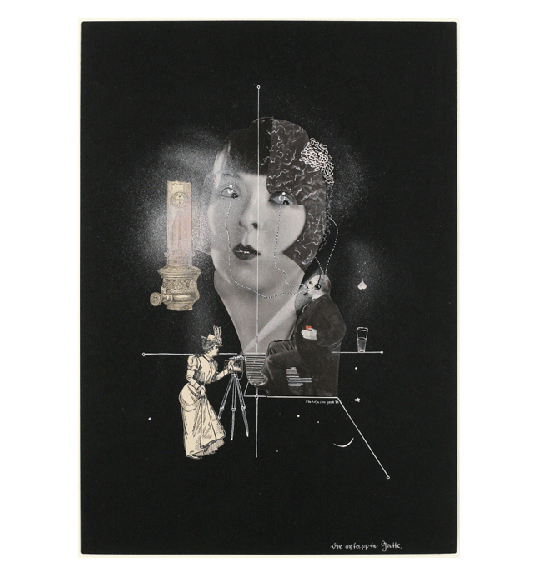 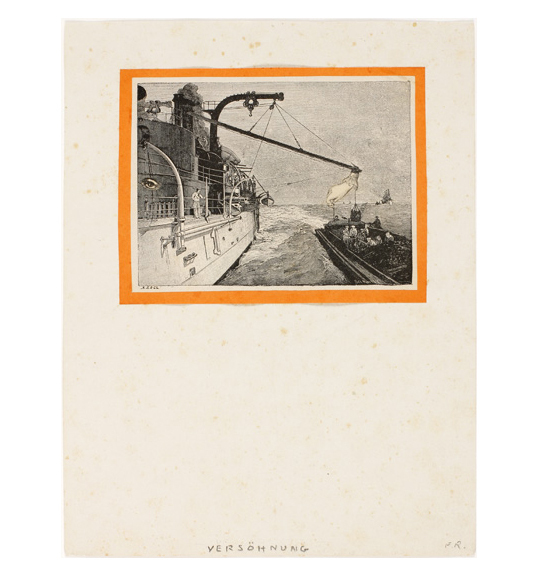 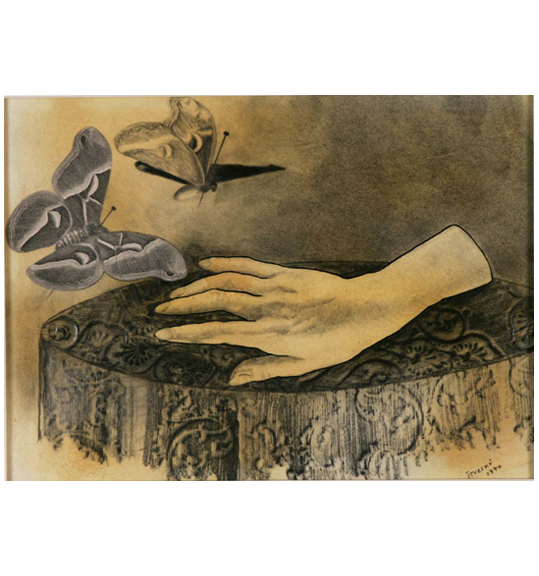 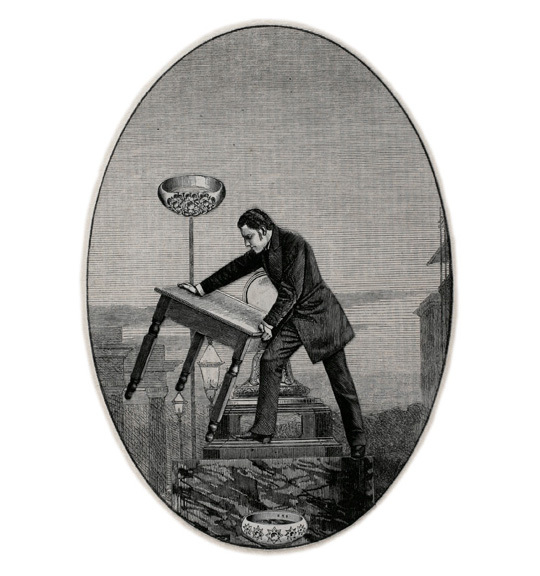 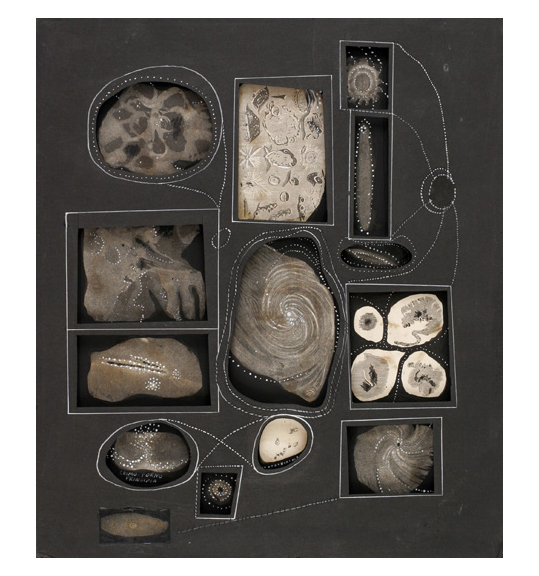 The first generation of artists were Ernst’s contemporaries, who worked primarily in the 1930s with significant connection to the Surrealists: Joseph Cornell (1903-1972), Jindřich Štyrský (1899-1942), Otto Hofmann (1907-1994), Franz Roh (1890-1965), Max Bucaille(1906-1992), and Gerome Kamrowski (1914-2004). 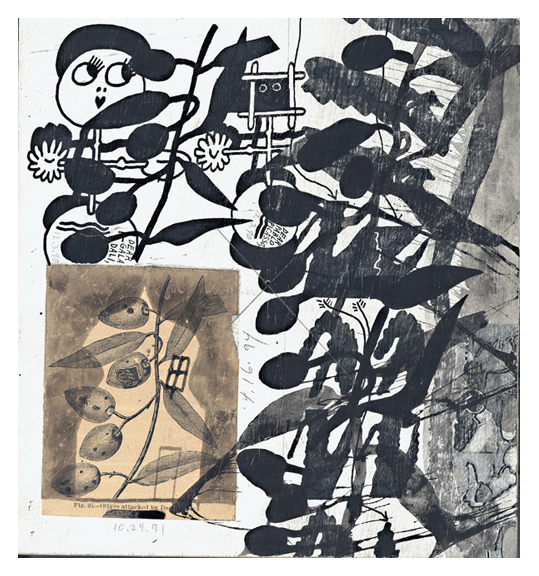 Those a generation later, including Ray Johnson (1927-1995), Bruce Conner (1933-2008), and Jess (1923-2004), each separately rediscovered Ernst, specifically choosing to use this type of collage as a jumping off point towards other conceptual ends. 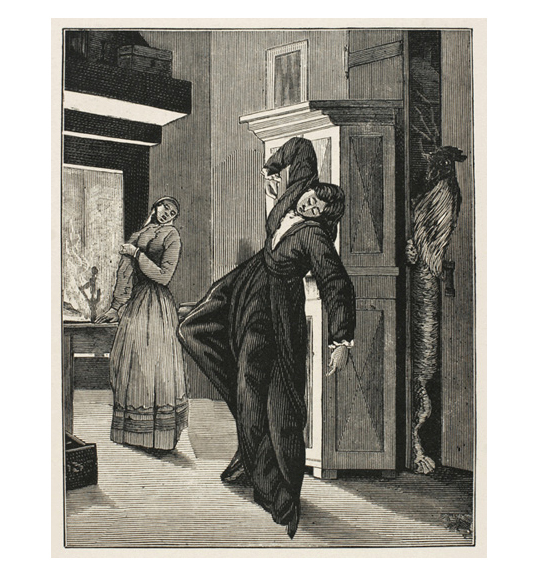 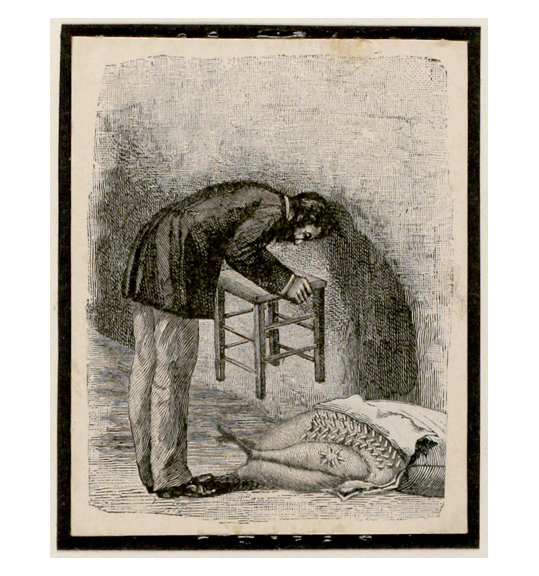 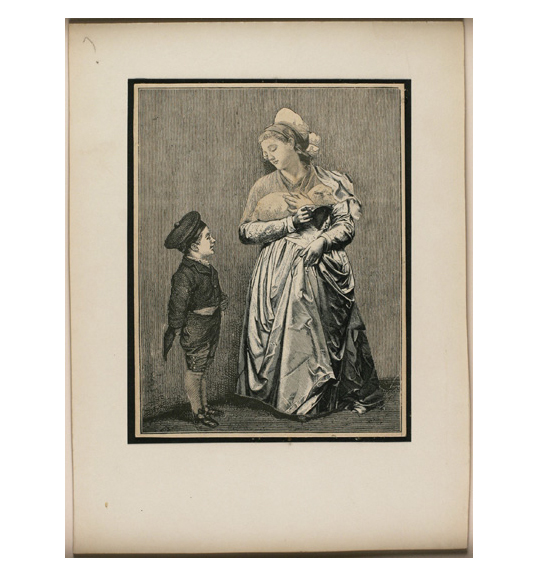 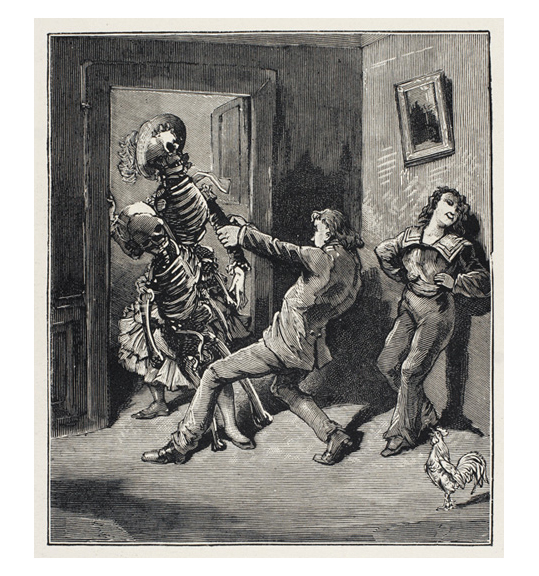 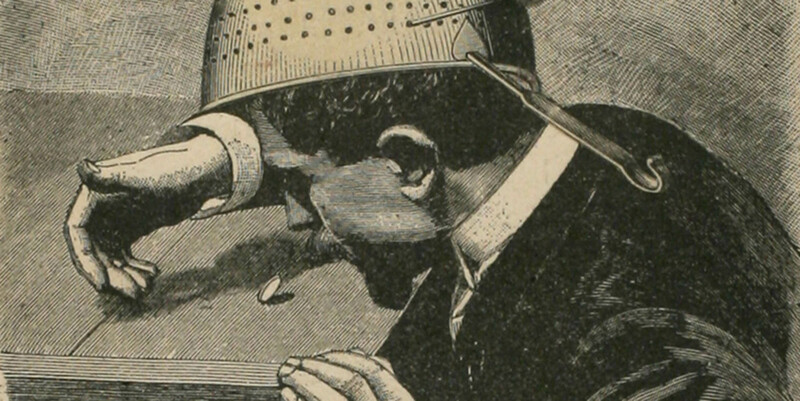 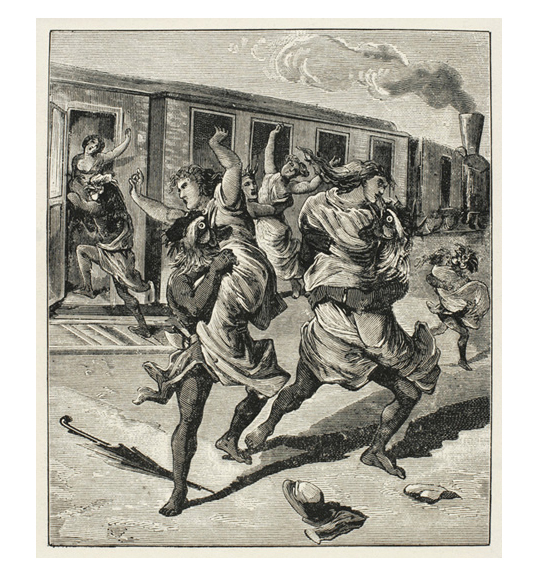 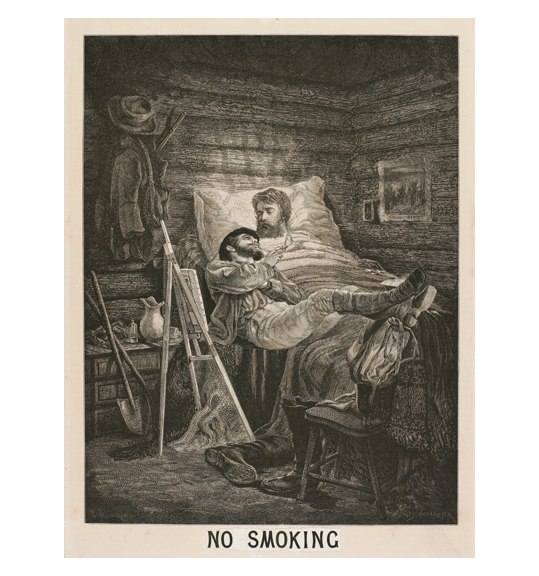 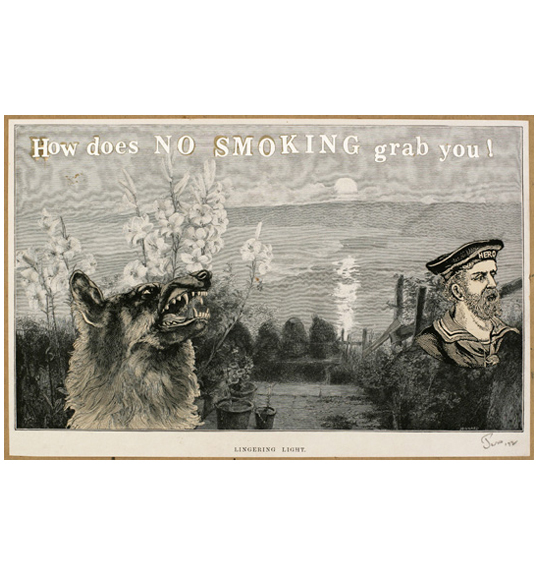 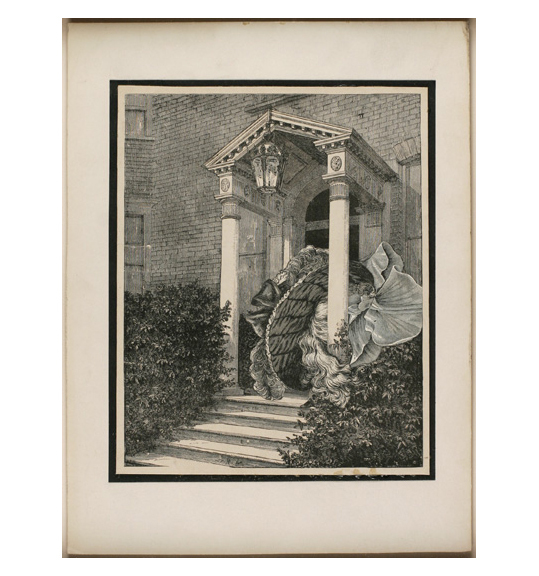 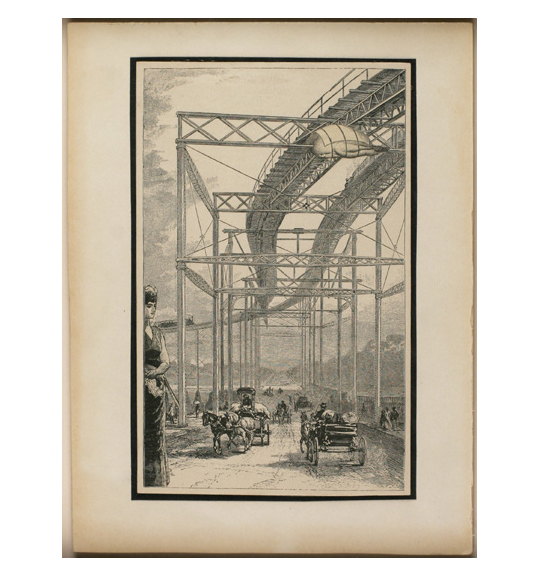 What remains a common thread throughout, however, is a sense of nostalgia very specifically conveyed through the use and alteration of Victorian engravings — a visual counterpoint which allowed the creation of fantastic, and oftentimes disturbing, visions. 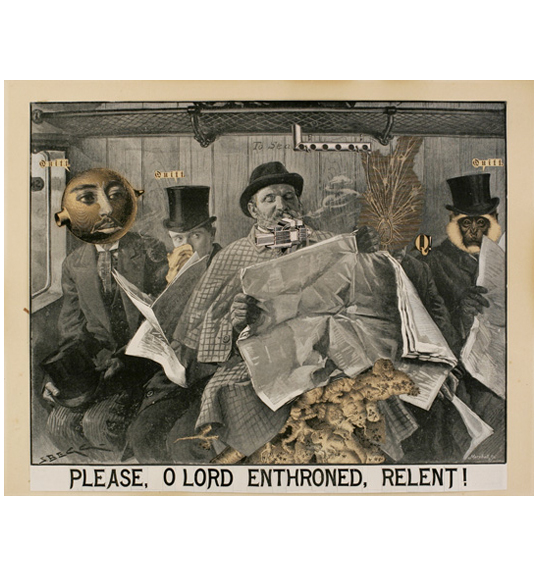 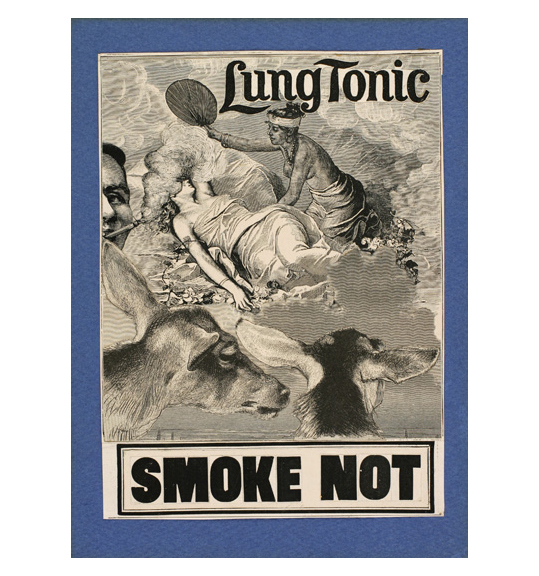 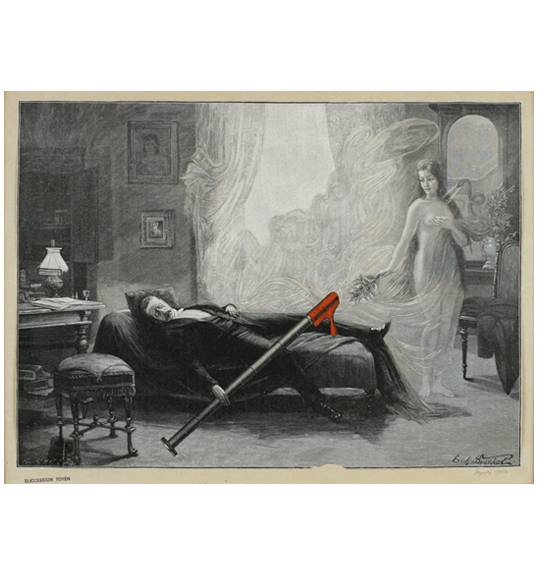 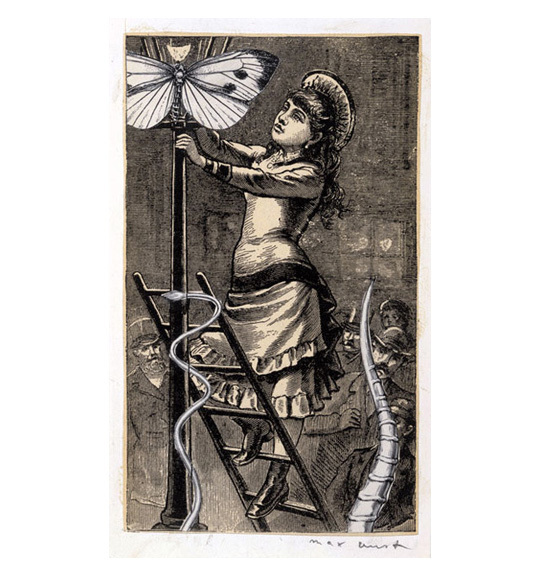 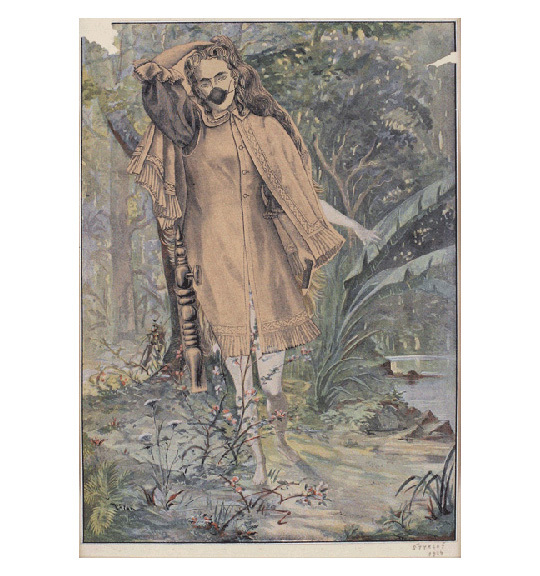 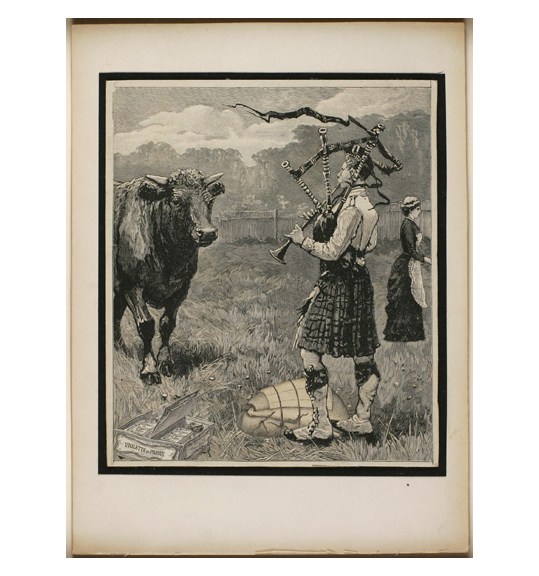 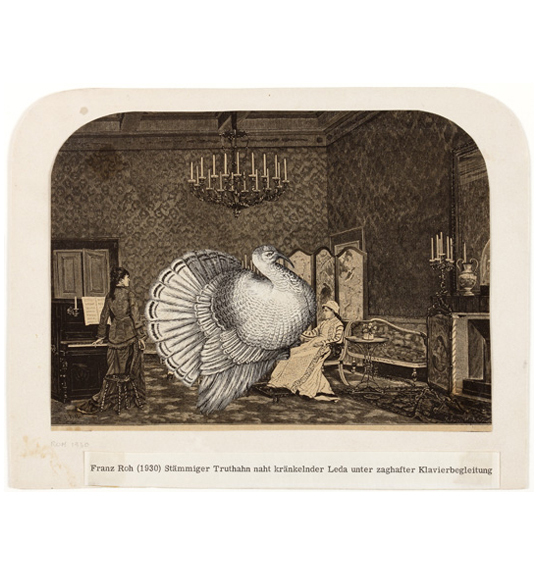 These collage elements were often excerpted from magazines and picture books and, despite their incongruous juxtapositions, they retain elements of their original Victorian melodrama. 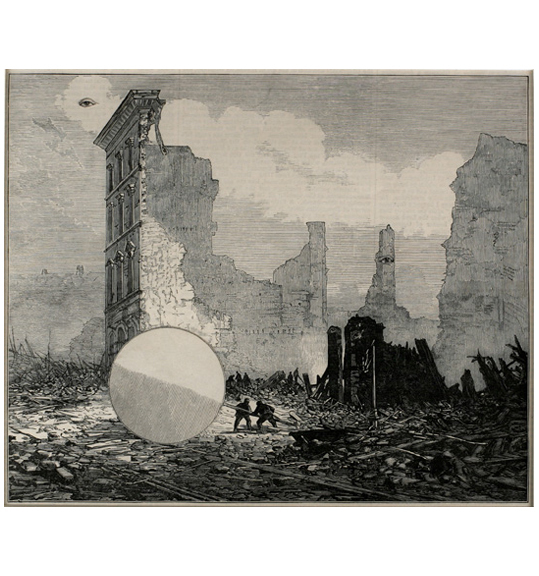 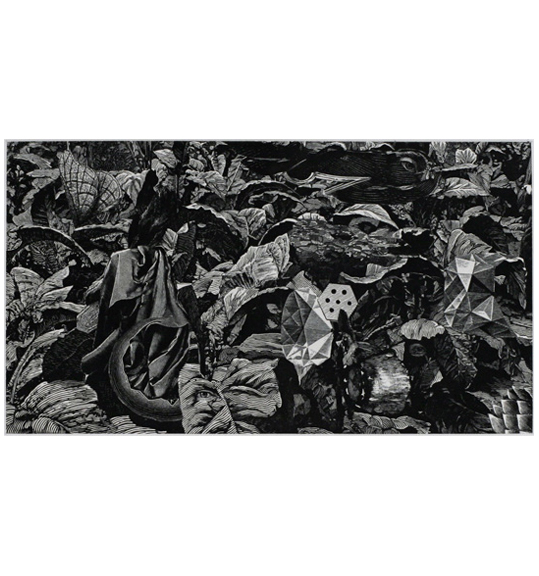 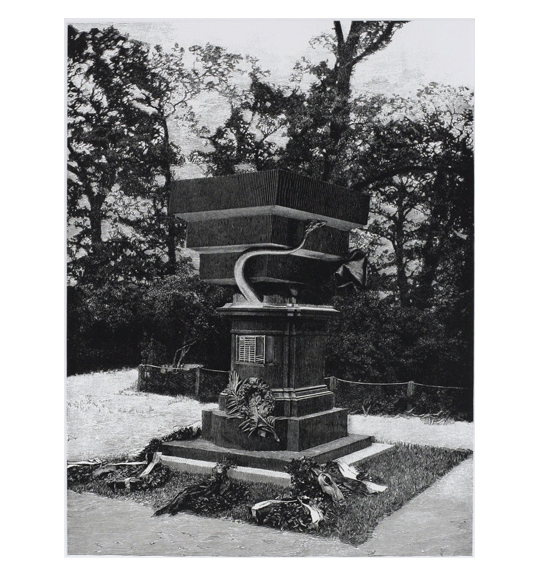 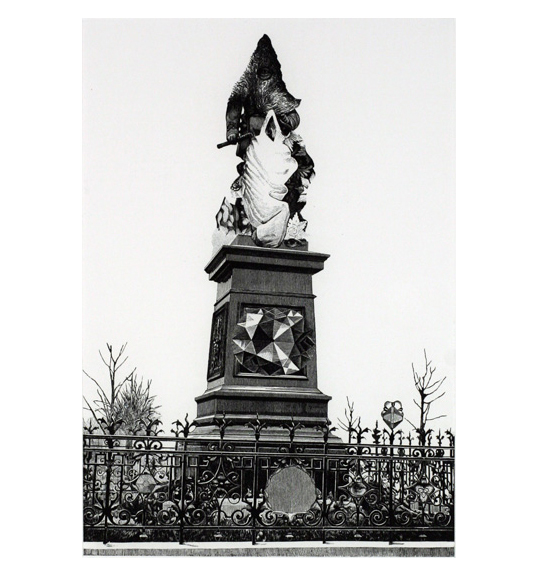 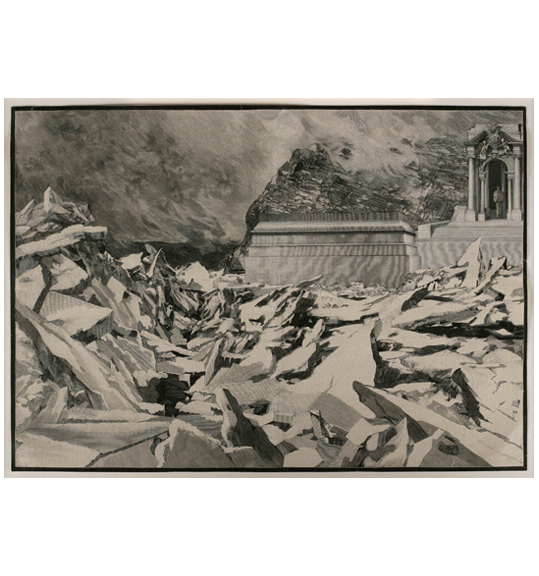 The sense of sublimation already inherent in these images in their original form, strengthened with the feeling of looking backwards in time, creates a powerful sense of longing — a lens of nostalgia through which the artists’ grotesque and eccentric creations become somewhat less threatening or remote.